I MUST BE one of the very few denizens of the literary world who had never so much as heard of Pico Iyer before this book landed on my desk. Somehow the plaudits he gathered from reviewers (“As a guide to far-flung places, Pico Iyer can hardly be surpassed,” declared the New Yorker), and the innumerable articles, on travel, globalism, sport, film, religion, or a mixture of all of these, that he contributes to such publications as Time, Harper’s, National Geographic, The New York Times, The Financial Times, The Times Literary Supplement, and The New York Review of Books have all managed to escape my notice. My search for biographical information about him gave me the impression that he was a kind of hugely yet oh-so-modestly successful version of Paul Scott’s Hari Kumar in The Raj Quartet. Kumar, lacking Iyer’s connections, and trained at a less prestigious boarding school, becomes a victim of the very class system in which he was raised. Not so Iyer. Born in Oxford in 1957 to a distinguished philosopher and a no less distinguished religious scholar, this high-caste lad of Indian descent (who never set foot in India, as far as I can make out, till his globe-trotting days) was educated at Eton (an institution which he discusses unmistakably in The Man Within My Head without ever actually naming, a faux-modeste ploy if ever I saw one),Oxford (where he won a Congratulatory Double First in Eng. Lit. ; he leaves it to his publicist to pass this creditable tidbit on to readers) and Harvard, where he ended up teaching before being lured to a job writing on world affairs for Time. A success story, one might have thought. Yet he gave it all up to satisfy his compulsive urge for travel—to Ethiopia, Bolivia, Easter Island, Paraguay, North Korea, you name it, the remoter and tougher the better—and the freelance journalism that was its natural by-product. He explains this urge to always be on the outside looking in as the result of his early schooling, which entailed being shuttled from California (whither his parents had migrated) to Europe and back three times a year. My experience tells me that most children subjected to such a regime end up looking not for more of the same but, at any price, for some kind of permanence, and that the urge for independent detachment is innate rather than induced, more often than not associated with an instinct to avoid, or at least postpone, seemingly insoluble problems. In Iyer’s case it seems to coexist with an irrepressible streak of basic mysticism that subtly—and complacently—subverts his rational Western education. What he reminds me of, perhaps unfairly, is that well-established Hindu tradition whereby great statesmen and intellectuals will often—not always waiting until old age—abandon their achievements, take up the begging-bowl, and seek spiritual enlightenment as a wandering mendicant. Today Pico Iyer lives—insofar as he lives anywhere—in a very modest apartment in Japan, with his Japanese wife. He is well aware that however long he stays there, however fluently he speaks the language, he will never be accepted as a citizen. This suits him well: he can keep his outsider status intact. The impression I get is of a clever and imaginative writer whose center nevertheless remains, so to speak, not quite in the middle, and who does not always entirely grasp, despite constant self-examination, just how the conflicting elements in his complex psyche operate. 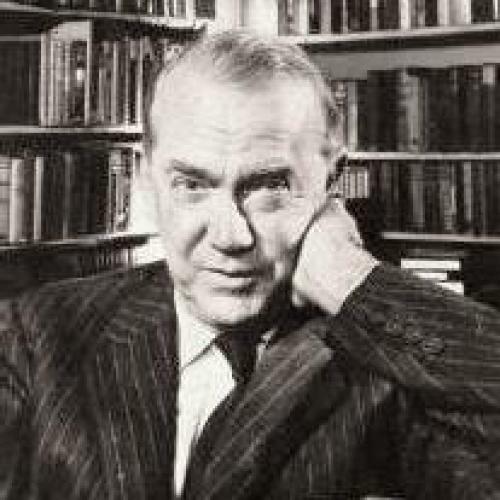 This is the man, then, whose new book, a congeries of travel sketches and autobiographical vignettes, carries as a somewhat intermittent leitmotif the enigma of how he came to be obsessed by the works and the personality of Graham Greene, whom he never met, and might have found a little disconcerting if he had. We meet Iyer for the first time in the Plaza Hotel. But as soon becomes clear, this is not New York’s Plaza Hotel. (From his tenth floor apartment he can see women in colored ponchos renting out cell-phones from tarpaulin shacks.) He is in La Paz, Bolivia, 12,000 feet up from sea level, fending off the effects of height with coca tea and oxygen, and trying to write a story about a young boy facing his first day at boarding school. Why, he wondered, was his main character called ‘Greene’? Could it be the effect of oxygen? More to the point (as we see when we know him better), “Was it only through another that I could begin to get at myself?” Three years earlier, he had written another story (while escaping the Y2K fuss, with his mother, on Easter Island—I swear); and if he had shown her this story, which apparently, and interestingly, he didn’t, “she would have said, ‘This renegade priest with his young girl and tropical lifestyle: isn’t this just a version of Graham Greene?’” Well, would she have? I wonder. In any case, the sketch of Greene’s character that follows culminates in the cited claim, by G.G.’s long-time companion Yvonne Cloetta, that in later years “Greene’s own life would start, eerily, to resemble his early dreams of his father.” Okay, Pico—noted. In the various travel sketches that follow, we are shown how “the foreigner, precisely by going to another country, brings a whiff of a different world into the lives of the locals he meets.” Why the emphasis on so stunning (and subtly patronizing) a platitude? Because, of course, “I’d found this theme echoed in every page of Graham Greene.” Oh dear. (Readers will note that though he is clearly familiar with all Greene’s works, Iyer’s primary interest in them seems not to be literary, but rather as a source of psychological insights.) Never good, as he admits, at telling people what they need to hear, he manages to make a really stellar exception in favor of himself. And it is now that he gives us the first of several reflections on what he characterizes as G.G.’s “archetypal novel,” The Quiet American. His summing-up of Fowler, the middle-aged and disappointed Englishman, is arresting: “A schoolboy still, perhaps, in a decidedly complex version of Abroad, but alive so long as he’s surrounded by people, a culture, a faith he can’t get to the bottom of.” The Etonian in Iyer, brought up on Horace, should—and maybe did—recall the old Roman’s injunction: “Change the name, and the story’s about you.” What’s always uncertain in this book is just how far Iyer fully understands the implications of what he is saying. As a result, I enjoy, even more than I did, the idea of Greene's troublesome ghost treating Pico Iyer as a similar kind of victim, and pursuing him with equal relish, perhaps even guiding the conflagration that burns down Iyer’s house (with the loss of all his papers), and precipitating the near-fatal car crash (in the Bolivian mountains) that forms the conclusion to this odd, inconclusively questing book. Of course, this is simply a fantasy on my part. I am not, I hasten to assure my readers, superstitious. Any more than Pico Iyer is. Peter Green is the former fiction critic of the London Daily Telegraph, a professional historian and translator, and currently a faculty member of the Department of Classics at the University of Iowa. *Update: An earlier version of this sentence accepted Iyer’s claim that Norman Sherry was dead. We regret the error.